Wall Decals are the most styl­ish home dec­o­ra­tive prod­ucts right now. 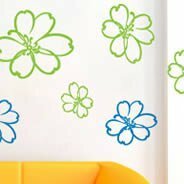 Easy to apply, easy to remove, Wall Decals are a very mod­ern and cre­ative way to dec­o­rate your walls and give new looks to a room in just a few minute – a total re-wallution for your home! 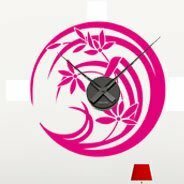 On the Dezign with a Z web­site you can browse a large selec­tion of con­tem­po­rary slick Wall Decals for your home and office dec­o­rat­ing needs. 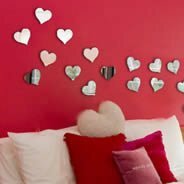 You can also learn use­ful tips on how and where to use your Wall Decal. 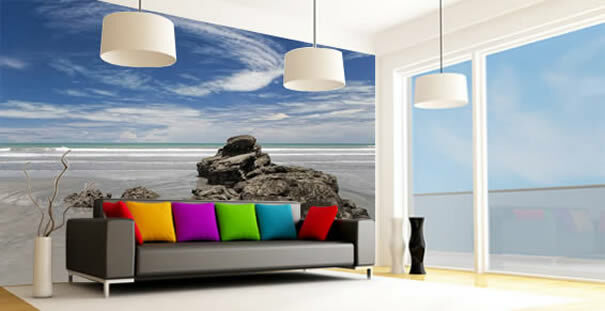 Dezign with a Z has an exten­sive array of Pre Designed Wall Quotes & Wall Murals for you to choose from. You can even choose your own with their Cus­tom Let­ter­ing or Cus­tom Graph­ics Design options! 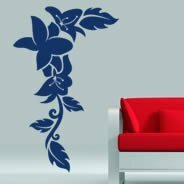 These unique Wall decals range from sin­gle words to detailed wall say­ings, are embell­ished with dif­fer­ent fonts and styles, and are divided into easy-to-browse categories. Are you just bored of just star­ing at your plain painted walls day after day? Feel like you need some colour and ‘action’ in amongst your decor? Well look no fur­ther!! Dezign with a Z will defi­nately wake up your walls! Dezign with a Z offers fun and easy wall let­ter­ing, quotes, and graphics! Put your ideas on your walls with Dezign! 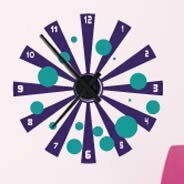 “Dezign with a Z wall decals devel­ops appeal­ing Vinyl Wall Decals based on designs by young cre­ative and tal­ented Design­ers from Europe and the US. Wall Decals are the most styl­ish home dec­o­ra­tive prod­ucts right now. 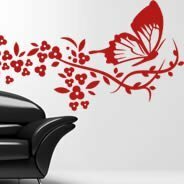 Easy to apply, easy to remove , Wall Decals are a very mod­ern and cre­ative way to dec­o­rate your walls and give new looks to a room in just a few min­utes… a total re-wallution for your home! 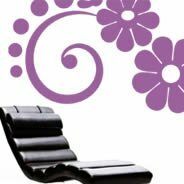 On the Dezign With a Z wall decals web­site you can browse a large selec­tion of con­tem­po­rary slick Wall Decals for your home and office dec­o­rat­ing needs. 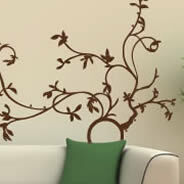 You can also learn use­ful tips on how and where to use your Wall Decal. 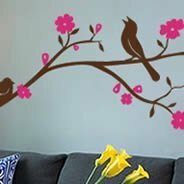 One Dezign With a Z wall decals speci­ficity is to man­u­fac­ture the largest wall decals you will find on the mar­ket along with a wide panel of col­ors (over 24). With Dezign, wall is the limit! Check our Super Size section. – a mod­ern & afford­able way to dec­o­rate your home or even your office space (tell your boss it’s time to get rid of these cheap look­ing cor­po­rate paint­ings!). – fun and so easy to install! Just check the demo video for your­self! – remov­able wall decals : even after years you can remove them with­out dam­ag­ing sur­faces. – sim­i­lar to hand painted designs or murals. – long last­ing and durable. 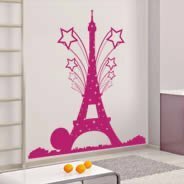 – cus­tom wall decals : from your Art Work file or from a sim­ple jpg pic­ture we can man­u­fac­ture your dream wall stick­ers. a great gift idea as you can espe­cially cus­tomize one for your par­ents or your friends! – let­ter­ing, logos & ban­ners for your par­ties & events. If you are inter­ested in adding that lit­tle touch of per­son­al­ity to help make your home, or even your car, unique to you and your fam­ily, you need to visit Dezign with a Z. The pos­si­bil­i­ties are end­less with Dezign with a Z! 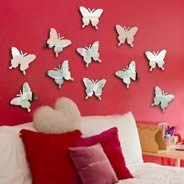 They are all about adding that lit­tle touch of per­son­al­ity to help make your house a home, a haven in a busy world and unique from all oth­ers – and their cus­tomiz­able wall quote designs are just what you want and need to add that spe­cial touch to your own per­sonal decor!! 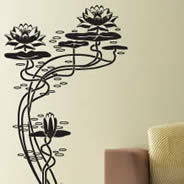 Dezign with a Z sent me a phe­nom­e­nal decal enti­tled “My Lotus Asian Wall Decal” in Bur­gundy and I love it so much! Apply­ing it to the wall was extremely easy, and what a stun­ning addi­tion to my diningroom!! Thanks to the very kind and gen­er­ous folks over at Dezign with a Z, 1 very lucky Cool­Canucks reader will walk away with one $30.00 gift cer­tifi­cate! SWEET!!!!! 1) Head on over to Dezign with a Z and check out all these great items! Please let me know what you would love to own from all of the fan­tas­tic prod­ucts on their website? Fol­low @coolcanucks and @Dezign­wit­haZ on Twit­ter! Leave me your twit­ter name! Become a Fan of Dezign with a Z on Face­book and leave a com­ment on their wall that you came from Cool­Canucks! Pur­chase from Dezign with a Z for the dura­tion of the give­away and get 10 extra entries!! Just tell me in a comment! A HUGE thank you to Dezign with a Z for spon­sor­ing us with this GREAT Con­test here at CoolCanucks! !